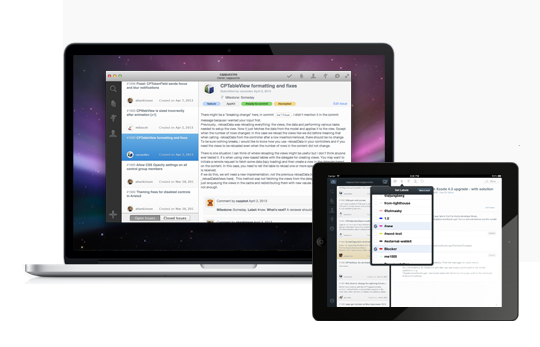 BugHub is a full featured native Mac client for GitHub issues. The slim interface lets you quickly add and remove labels, set milestones, and assignee issues to team members. Creating new labels and new milestones is also super simple! BugHub was built for speed. Quickly find the issue you're looking for by using the filtering tools on the right hand side of the app. Because developers love keeping their hands on the keyboard, BugHub also supports keyboard shortcuts for quickly navigating around and mangaging issues. 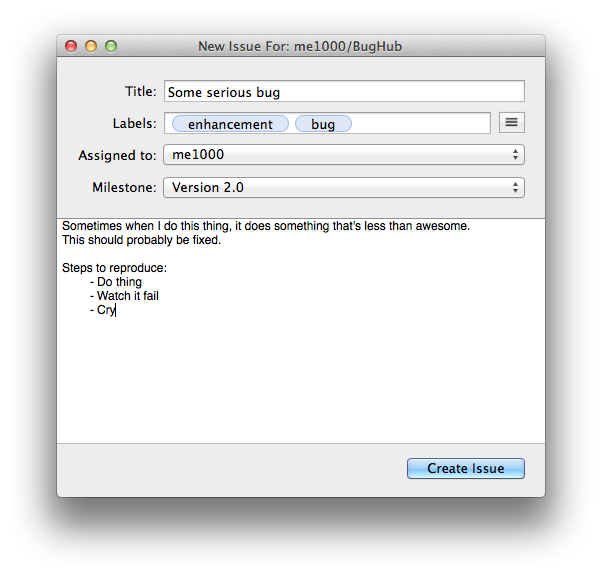 BugHub provides a feature rich experience for creating new issues. 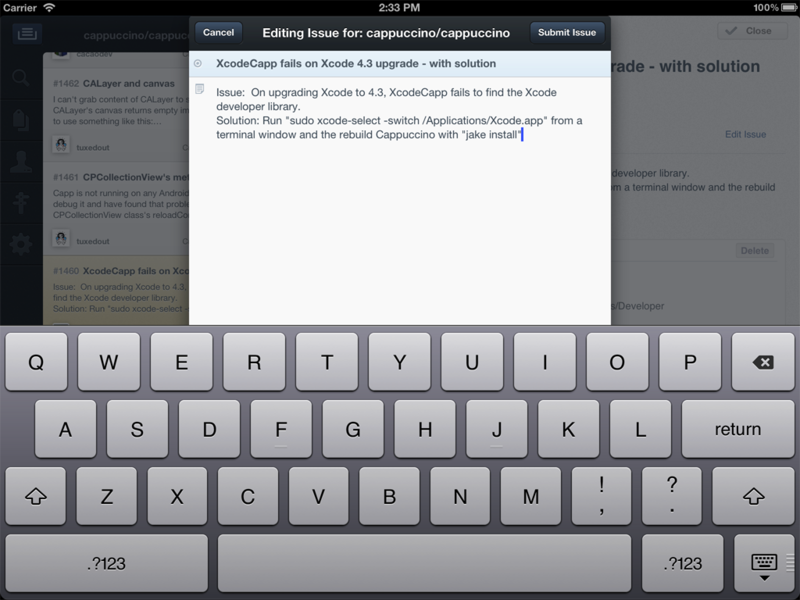 You can assign the issue, set a milestone, and add labels all while creating the issue. If you're not a collaborator on the repository a simplified version will appear for you. BugHub for iPad is no watered down version of its Mac counterpart. Manage multiple repositories with ease. 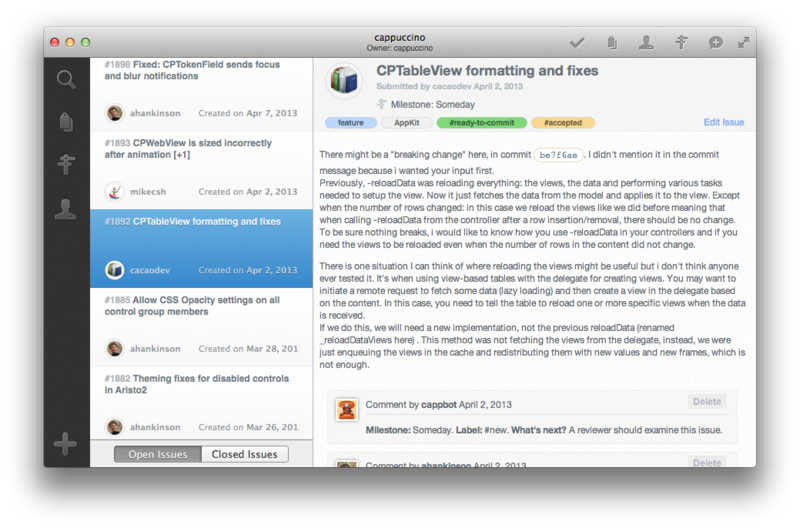 It's quick and easy to add new labels and milestones, assigning team members to an issue, and of course close issues! 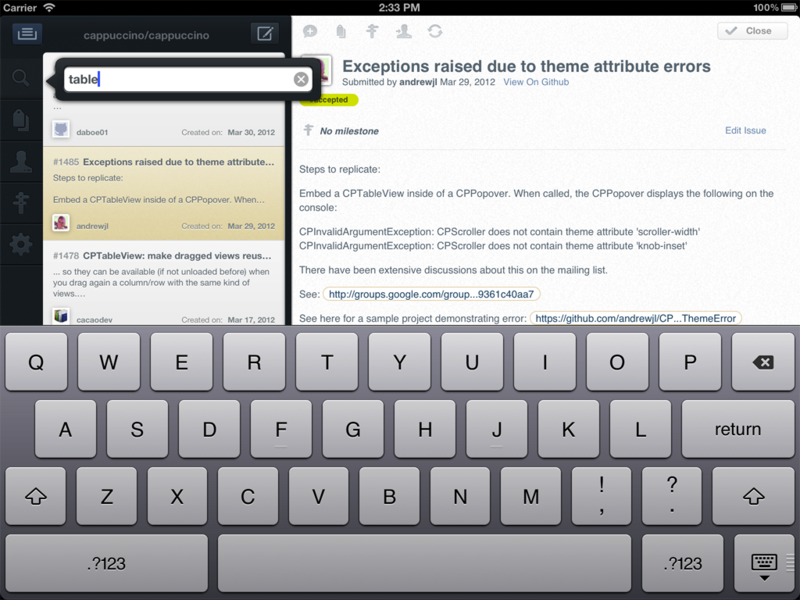 Finding issues with BugHub is fast on your iPad with the very powerful filter features built in. 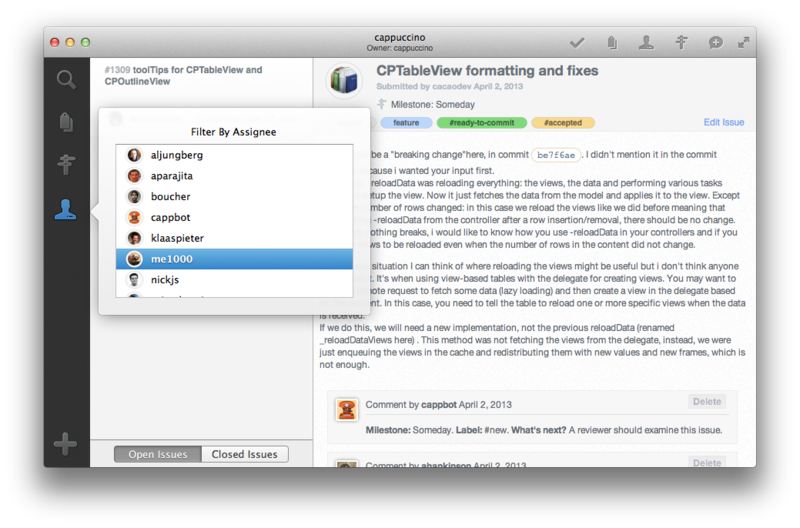 Filter using labels, assginees, milestones, or just a regular text search. Searching for issues is instant and live, no more waiting around for the server to respond to your search request! 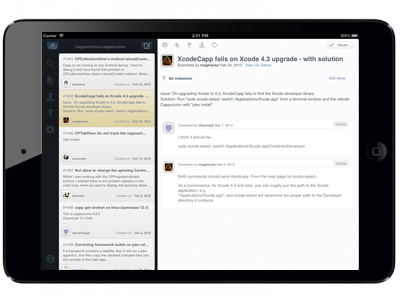 Quickly create new issues on the fly and comment on existing issues. BugHub also supports editing comments, for when you need to add more information, or if you accidently make a mistake. Contact me at @denishennessy if you have any questions!